Good day. 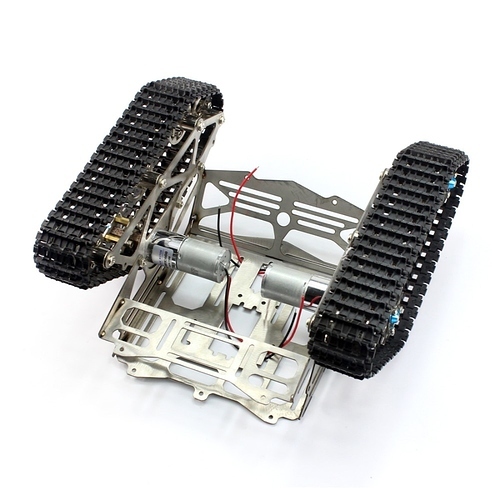 I have a chassis, about the same as in the picture. I want to control these motors with the widget joystick on the application. But I can’t find sample code for NodeJs. Can you tell me where to get a ready-made example, or write an example. Motors are simple. Not stepper. Thank you for help. I did everything as you said. The blynk server starts, but as soon as I click on the joystick widget, the server receives a command and crashes. I use an orange pi board, not a raspberry. Maybe the problem is this? Read, and if necessary Google, the first line in the error… it is your best clue. In your case… I was using the pigpio library for GPIO control in my example and it includes the servo control, onoff doesn’t.